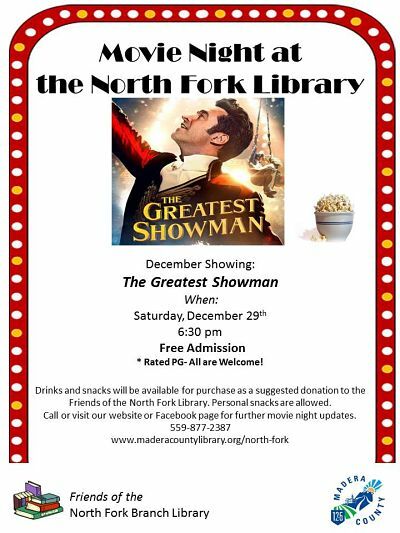 Movie Night at The North Fork Library will be showing ” The Greatest Showman”. This movie is rated PG and received great reviews. Fun for the whole family! 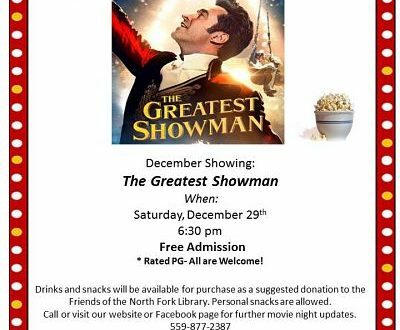 December 29th at 6:30 p.m.